Agile development teams live and die by their code. Many have found in practice that “good” agile code is extensible, low-defect code with the simplest robust design that will work for the features currently implemented. Among the agile methodologies, Extreme Programming (XP) goes into the most depth concerning how programmers can keep themselves and their code agile. Below are some new skills that agile teams need to embrace. Agile teams are under pressure to deliver working, tested code at the end of each iteration and their code must be capable of turning on a dime at any moment. So agile teams place enormous value on the extensibility of their code: the extent to which they can easily maintain and extend it. The other key component of extensibility is design simplicity. Extensibility seems to be inversely proportional to design complexity. Refactoring is the process of clarifying and simplifying the design of existing code, without changing its behavior. Agile teams are maintaining and extending their code a lot from iteration to iteration, and without continuous refactoring, this is hard to do. This is because un-refactored code tends to rot. Rot takes several forms: unhealthy dependencies between classes or packages, bad allocation of class responsibilities, way too many responsibilities per method or class, duplicate code and many other varieties of confusion and clutter. Agile methods promote taking large projects and breaking them down into a coordinated series of smaller projects developed by smaller, cross-functional teams. The various teams’ work (i.e. code) is integrated at least every iteration in order to reduce risk and ensure functional and technical compatibility. An incremental approach to planning allows for initial planning at a high level, and iterative planning at lower levels as more knowledge is gained. As teams begin to learn what they can deliver on a daily, weekly and monthly basis, they become more accurate at both their short- and long-term planning abilities than they ever were with traditional planning approaches. Collaborative decision-making techniques are important because agile requirements definition involves more than just the Business Analyst and the Product Owner. Agile encourages input from all team members to create a more robust solution that meets the needs of the business and helps create a strong sense of confidence that the solution can be delivered to market. These are just a few of the new skills agile teams need to embrace. 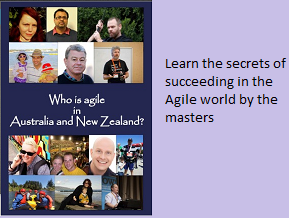 Learn more about other Agile Programming Practices.